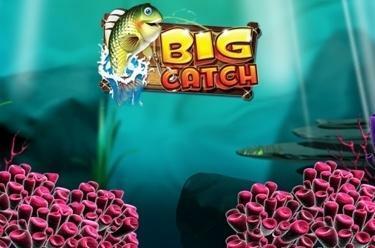 Play Big Catch online for free now! Catch yourself a fat fish! 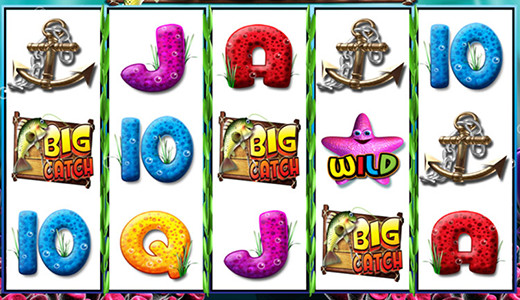 At Big Catch you have two chances for big winnings. Land the symbols in the correct order - and with a little luck the ‘Starfish’ will help you! And if that does happen, then at the end of your run you can cast out your rod once again and to haul in an even bigger catch! But be careful: Don’t pull any old boots out of the water! Big Catch is played on 5 reels and up to 20 win lines. Your goal is to land five matching consecutive symbols along a win line, starting on the left. You can view the prize ranges for each winning combination in the Paytable. The star replaces all other symbols and can be used to complete your winning combinations. You also have the opportunity for big winnings in the Bonus Feature, which will be triggered randomly. The ‘Go Fishing’ Bonus Feature will be randomly triggered at the end of your run. The reels fill up with water and with the right catch you can win an impressive amount of Twists! You can choose the reel for your fishing pleasure with a mouse click - the bigger the catch, the bigger the winnings! Though if you pull an old boot or a 'Prize Catch' symbol out of the water the bonus feature ends.